The expense and receipt books of the King’s Chamber (known as the Chamber Books) covering 1485 to 1521 are unique. These are the earliest systematic private records of the financial decisions of an English monarch, giving an unparalleled insight into royal personality, the purchase of luxury items and material goods, the interaction of private and public, and the politics and finances of kingship. The two-year project, generously funded by the Leverhulme Trust, will make the text of these records digitally available and searchable for the first time, while promoting research into Tudor court culture, politics and kingship.  A collaboration between The University of Winchester, The National Archives and The Digital Humanities Institute at the University of Sheffield. Funded by The Leverhulme Trust. Banner Image: © The National Archives, ref. E33/1. Reproduced with permission. Image #1: © The National Archives, ref. E101/414/16, fos 32v-33r. Reproduced with permission. Image #2: © The National Archives, ref. E101/417/7, no. 28. Reproduced with permission. Image #3: Richmond Palace from SW by Wyngaerde c.1558-62. Ashmolean Museum, Oxford. Public Domain. Image #4: Henry VIII and Henry VII, cartoon for wall painting in Whitehall, 1537. Pen in black, with grey, brown, black, and red wash; paper mounted on canvas, 257.8 × 137.1 cm. National Portrait Gallery, London. Public Domain.